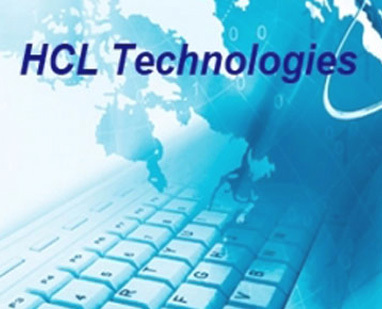 New Delhi: India's fourth largest software services provider HCL Technologies on Friday reported 32.3 per cent rise in consolidated net profit at Rs 1,873 crore for the first quarter ended September 30 on the back of strong growth in Europe and business services. The company had posted a net profit of Rs 1,416 crore in the year-ago period, it said in a BSE filing. Consolidated revenues grew 9.7 per cent at Rs 8,735 crore in the July-September quarter of this fiscal as against Rs 7,961 crore in the same quarter of the previous fiscal. In dollar terms, net profits rose by 36.1 per cent to USD 307.2 million in the first quarter of the current fiscal as against USD 225.6 million in the year-ago period. Revenues rose by 12.8 per cent to USD 1.43 billion during the review period from USD 1.27 billion in the corresponding quarter last fiscal. We have posted another healthy quarter of broad-based growth led by a revenue increase of 3.2 per cent quarter-on- quarter in constant currency," HCL Technologies CEO Anant Gupta said. Customer acquisition momentum continues with yet another billion dollar quarter driven by strong growth in global infrastructure services at 16.9 per cent year-on-year and engineering and R&D services at 14.1 per cent y-o-y, he added. "Going forward, our investments will continue in the three strategic markets of ITO, Engineering Services Outsourcing and the emerging Digitalization space which will enable a continued balanced business portfolio performance for the company," he said. Revenues from Europe grew 20.8 per cent y-o-y, while that from Americas grew 11.1 per cent during the said quarter. Americas crossed the USD 3 billion in revenue milestone on LTM basis. It signed 15 transformational engagements with more than USD one billion of Total Contract Value in this quarter. The company has declared an interim dividend of Rs 6 per equity share of Rs 2. "HCL's performance has exceeded the market expectations. It's showing signs of healthy growth but not industry leading as yet," Greyhound Research Chief Analyst and Group CEO Sanchit Vir Gogia said. The company holds a strong foothold in infrastructure management which has been generating a steady stream of revenue for the company, he added.